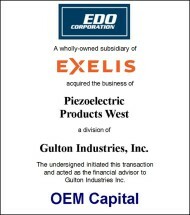 Leeds Electronics, headquartered in Chicago, Illinois, is a well-regarded distributor of electro-mechanical and passive electronic components that are sold to commercial and industrial customers. Leeds was established in 1987 and has offices in five states in the Midwest (Illinois, Wisconsin, Minnesota, Indiana, and Ohio). 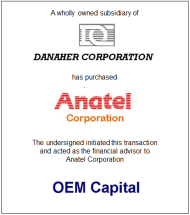 Hughes Peters, headquartered in Dayton, Ohio, is a distributor of electronic components and supplier of value-added services with offices in for states (Ohio, Pennsylvania, Michigan, and Texas). 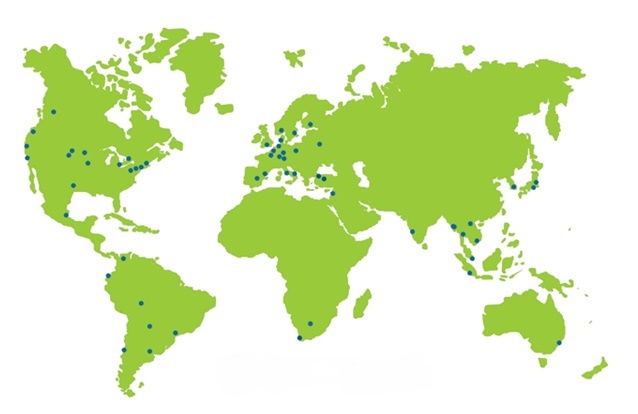 With its acquisition of Leeds Electronics, the second in a year for Hughes Peters, the company has significantly expanded its geographic footprint in the Midwest and augmented its product line card. 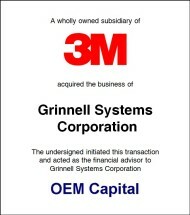 OEM Capital is a merger and acquisition advisory firm with its primary focus on electronics, communications, software and information technology companies. Its professionals have extensive experience in the industries that they cover. 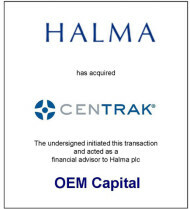 As a member firm in the International Network of M&A Partners, (IMAP), OEM Capital is able to expose its clients to potential acquisitions in every major technology market in the world. 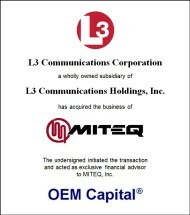 OEM Capital was engaged to assist Leeds in finding a buyer. It prepared marketing materials to best reflect the business opportunity and then contacted companies in the US and abroad who it believed could have a serious interest. 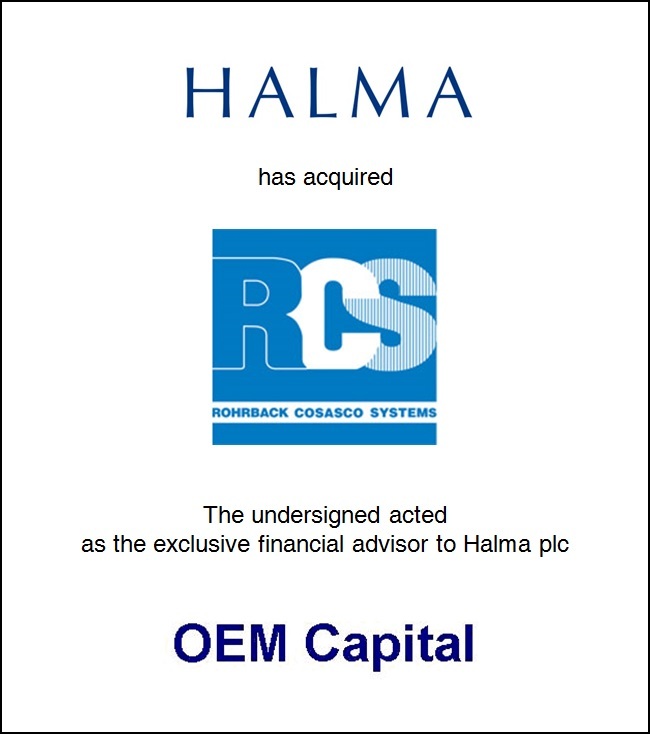 Through a competitive sale process, a premium valuation was secured. 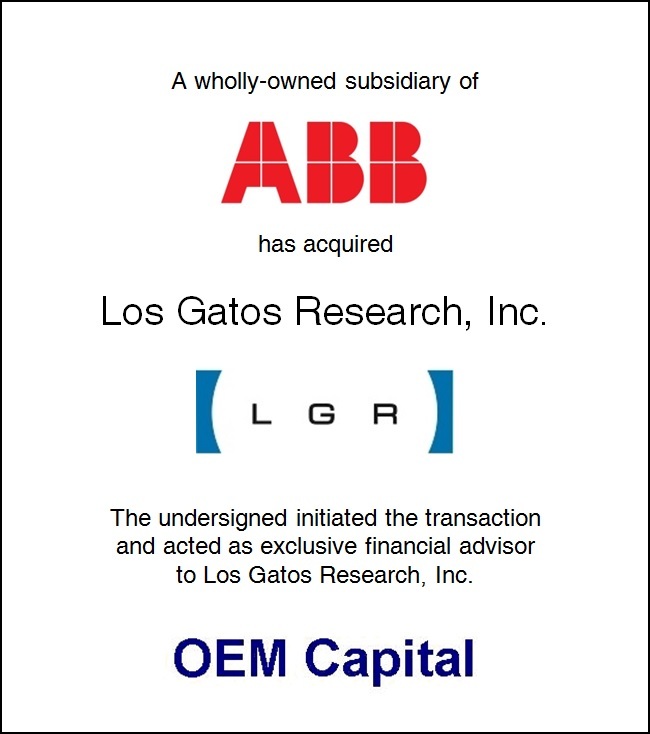 OEM Capital’s success with Leeds illustrates that superior valuations can be realized for the selling shareholders by a well executed approach to a sale or divestiture by merger and acquisition professionals who are knowledgeable about the industry and the intentions of its participants.